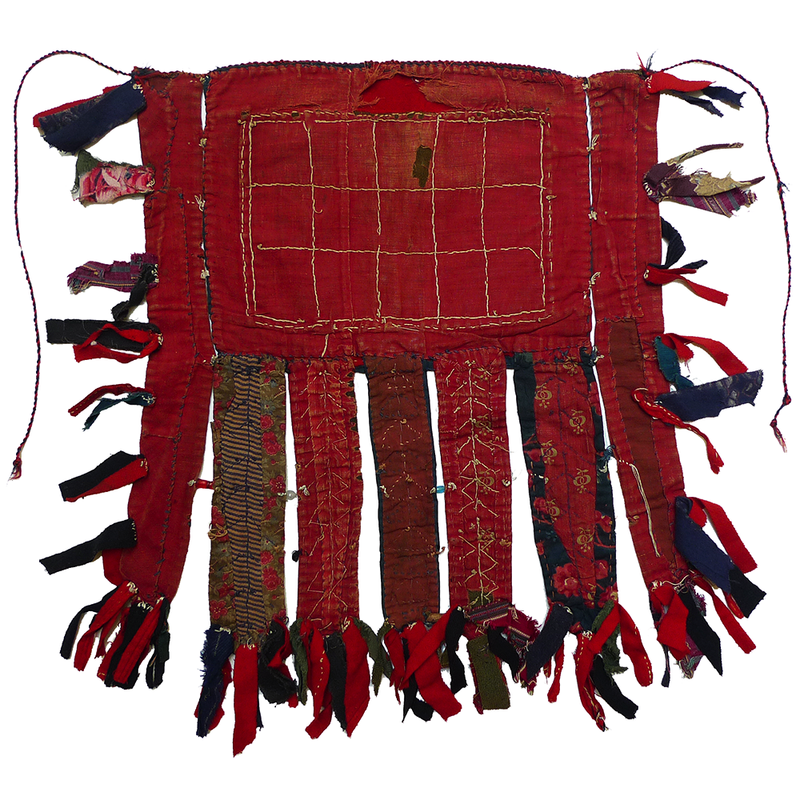 This trapping was one of a pair that was tied around each of the camel’s forelegs in a Turkmen bridal procession. 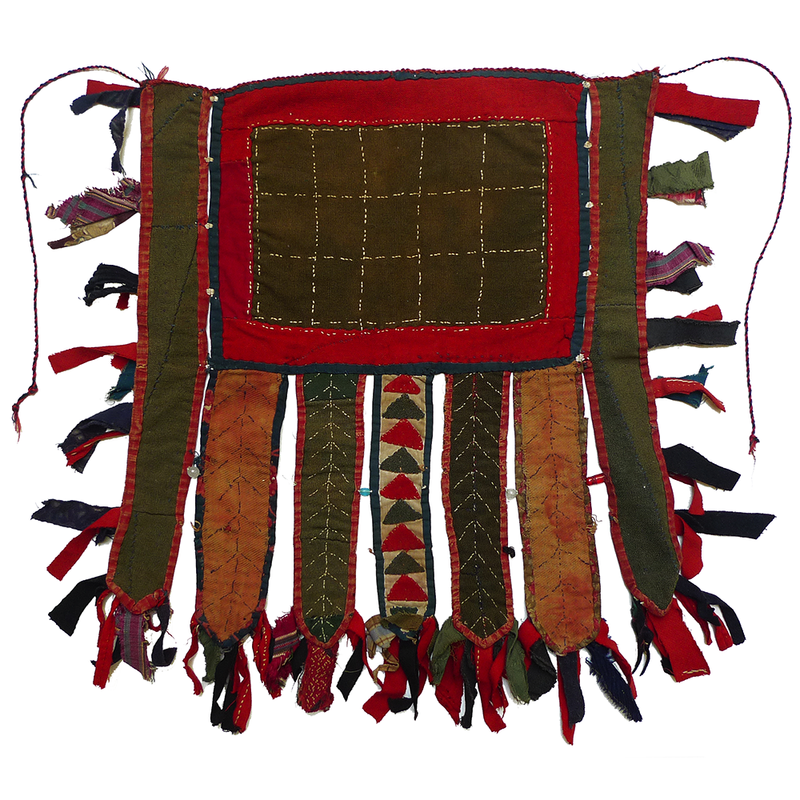 Called a “duye dizlyk”, they were often hung with little bells that jingled as the camels walked. The small applied triangles and glass beads (especially blue beads) serve as amulets to help ward off evil spirits.